Turkeyfoot to College Park to R on University, OR Campus Dr. to R on College Park to L on University. Walk to Crestview Hills Towne Centre! 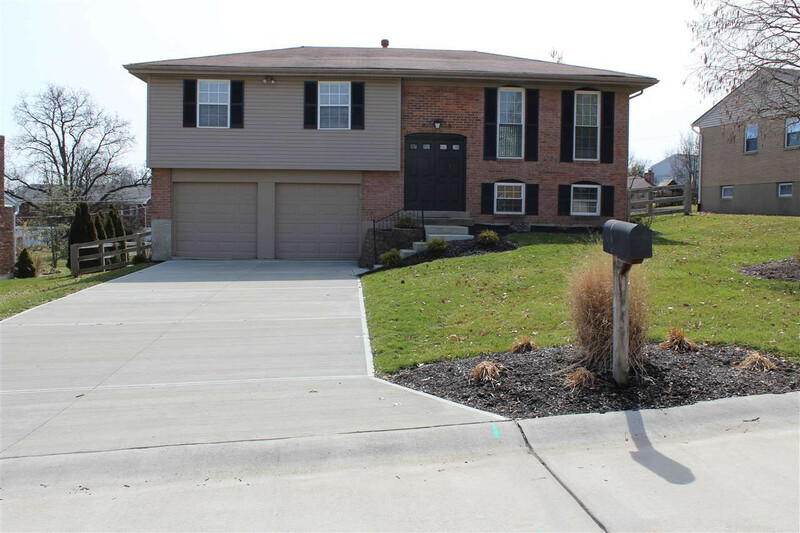 Fantastic Updated Move In Ready Home with a Beautiful Fenced Backyard & 3 Full Baths! New Fresh Paint, Newer Carpet, 7 New Ceiling Fans, Added Full Bath in the Lower Level. All New: Railing on the Deck, Hot Water Heater, Refrigerator, Washer & Dryer, Garage Door Openers and Blinds Throughout. Come See this Amazing Home!